Apple’s new iOS 7 for the iPhone, makes your smartphone even smarter! It will make your daily tasks even easier, faster, and much more enjoyable. It incorporates multiple new features, such as Control Center, AirDrop for iOS, and smarter multitasking. The way you do things on the iOS 7 will feel completely familiar, regardless of how different some of the applications look. 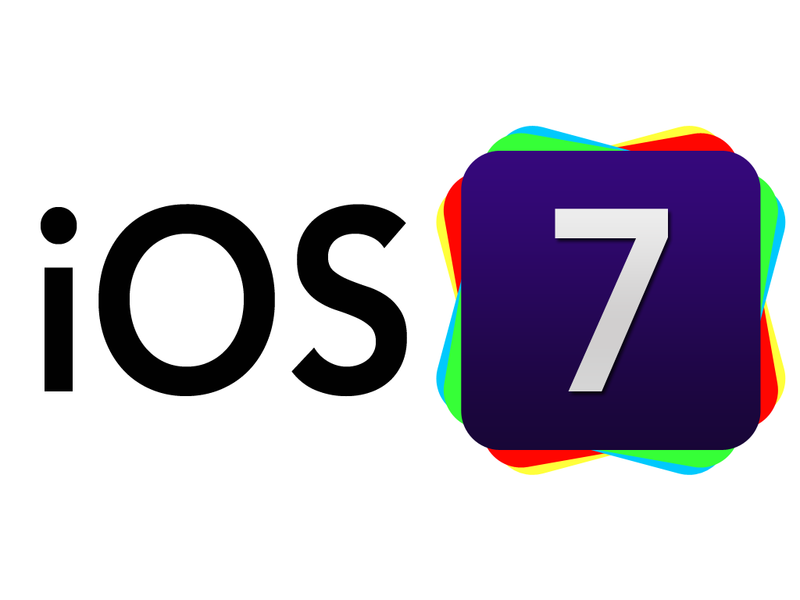 If you’re familiar with the iPhone, you’ll already know how to use iOS 7. Control Center gives you instant, easy access to all the controls and applications for your iPhone all in one place. Just one swipe up from any screen—even the lock screen—and you’ll be able to do things such as turn Wi-Fi on or off, adjust the brightness of your display, or switch to Airplane mode. You’ll even be able to use the new flashlight application in one quick swipe. Interested in checking your mail, missed calls, to-do lists, and more? The Notification Center will provide you all of this information. Including a new feature called “Today,” which gives you a convenient summary of the day. All you’ll need to do is glance at your iPhone and you’ll know if you’ve forgotten a friend’s birthday, if you’ll need an umbrella, or if traffic will slow down your travel time. You’ll have access to the Notification Center from any screen, including the lock screen. Since the beginning, multitasking has always been an intelligent way to switch between applications. With iOS 7, multitasking is even smarter. iOS 7 pays attention to what you do on your iPhone, and learns when you like to use your applications. It will update your content and have your applications ready to use before you launch them; so if you typically check your Facebook app at 9:00 a.m. every day, then your feed will be ready and waiting for you at 9:00 a.m. iOS 7 knows what you want to do, before you know what you want to do! New filters allow you to do even more with your images. You can give your photos a retro feel, dial up the contrast, or go black and white—it’s up to you! You can apply all of the filters to still and square photos. Pick a filter and see the effect before you snap the photo. Or snap the photo and apply a filter later. If you change your mind, you can simply go back and remove the filter. iOS 7’s “Collections,” “Moments,” and “Years” are new groups for your photos and videos, based on the time and place they were taken. Collections: Tap a collection, such as “Mexico,” and instantly view all of your photos from that trip, organized into “Moments” according to date and location. Years: Tap the Year to view every photo and video you’ve ever taken in a specific year on the screen. iCloud Photo Sharing: Share your favorite photos with your favorite people. Create a shared photo stream, where your friends can post photos, videos, and comments to your stream. These will automatically appear on their iOS devices. Have you ever sent a photo or document to someone via text or email? Have you ever done this while that person is right next to you? Sending a text or email like this feels silly! With AirDrop, you can quickly and easily share photos, videos, contacts, and anything else from any application with the “Share Button.” Just tap “Share,” then select the person you wish to share with. No setup required, and all transfers are encrypted for your safety. In AirDrop, you’ll automatically be visible to your contacts running iOS 7. However, you can make yourself invisible with one tap in the Control Center. Recipients can also choose to save whatever you’ve sent. When they save, it’s saved to the correct area. For example—a photo goes in “Photos,” a contact goes in “Contacts,” and so on. In iOS 7, browsing is bigger, better, and more beautiful. Buttons and bars stay hidden until you scroll to reveal them, so you’ll see more content than ever on your screen. With a single swipe, you can go back or forward to a page. The iOS 7 is designed so nothing will get in your way, or slow you down. Unified Smart Search Field: Type a URL or search term in the unified smart search field, and Safari will automatically suggest the closest match. New Tab View: View your open web pages in a combined view, allowing you to scroll effortlessly from tab to tab. Simply swipe the page’s “off-screen” in order to close it. Shared Links: See all the URLs in your Twitter timeline, who posted them, and what they said about them. Reading List: It’s simple to read through the articles in your reading list. Simply scroll from one to the next. iCloud Keychain: iCloud can remember your account names, passwords, and credit card numbers for you. Safari will automatically enter them whenever you need to sign in, or shop online. This will work on all of your iOS 7 devices, as well as your Mac computers running the new OS X Mavericks. Thanks to 256-bit AES encryption, it’s extremely secure! Password Generator: Each time you create an account, Safari will generate a unique, hard-to-guess password. Safari will also remember this password for you! iTunes Radio is available for free on your iPhone, iPad, iPod touch, PC, Mac, and Apple TV, and provides you with the best selection of music. The more you listen, the more personalized iTunes Radio will become. You’ll have access to Featured Stations, which are inspired by music you’ve already chosen. You’ll also be able to build new stations while you listen, and control how often you listen to hits and discover new music. Have you ever wondered what an iTunes history would look like? Now you can view the History of everything you’ve added to your Wish List or you’ve listened to. Want to download music from iTunes? You can simply tap the songs to download them! In iOS 7, Siri has an entirely new look, and sound. Siri is now capable of much more. It features a redesigned interface that fades into view with a more natural speech pattern. You will now have the option of hearing a new male or a female voice—and Siri is even easier to understand. Siri is faster and more efficient at answering your questions, checking more sources than ever such as Bing, Twitter, and Wikipedia. It also takes on extra tasks, like playing voicemail and returning calls. The App Store in iOS 7 has an entirely new feature – “Apps near me” – that shows you a collection of the most popular applications relevant to your location. iOS 7 will also update your applications automatically, so you won’t have to. Find my iPhone can help you retrieve a lost iPhone, and with the new security features in iOS 7, it’s going to be a lot harder for anyone else to use or sell your device. Your iPhone will require your Apple ID and password to turn off “Find my iPhone,” or erase your device. In order to reactivate your phone, you’ll also need your Apple ID and password. This means that your iPhone is still your iPhone, regardless of the location. By integrating your iOS device and experience with your in-dash system, you can equip iOS into your car and connect your iPhone 5, allowing you to interact with it using the car’s built-in display and controls, or Siri Eyes Free. It’s a lot safer to make phone calls, send messages, get directions, or access music. It’s all designed to let your iPhone focus on what you need, so you’re able to focus on the road.